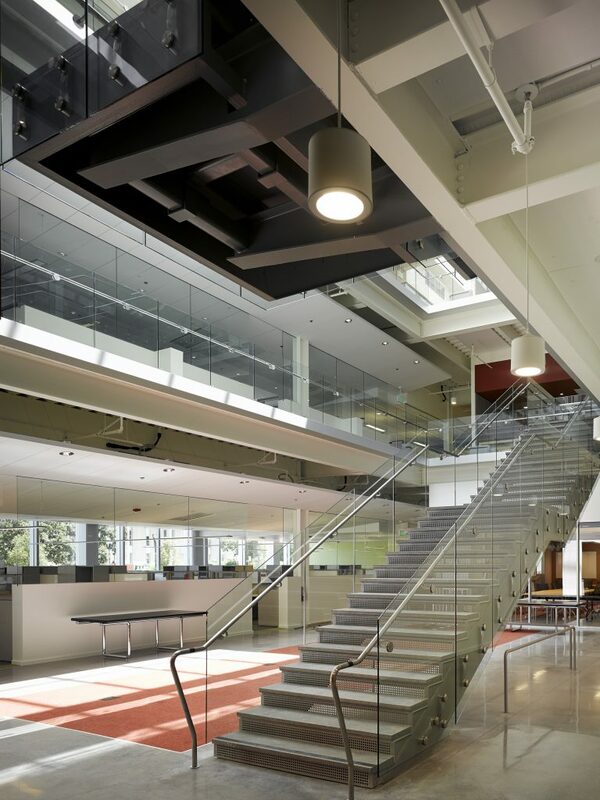 A light-filled office building promotes collaboration at every level. 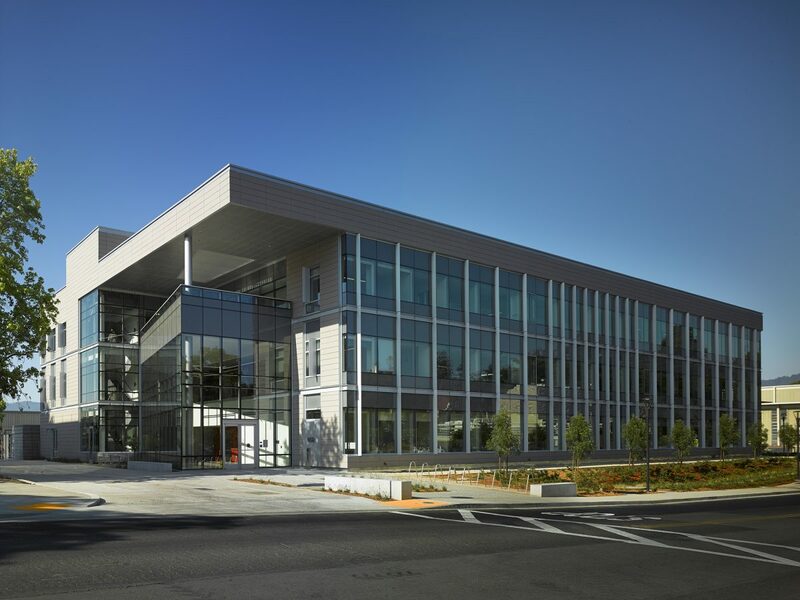 Drawing on SLAC’s “One Lab” concept, the Research Support Building consolidates SLAC’s Accelerator Directorate and Department of Energy staff in one modern office space. 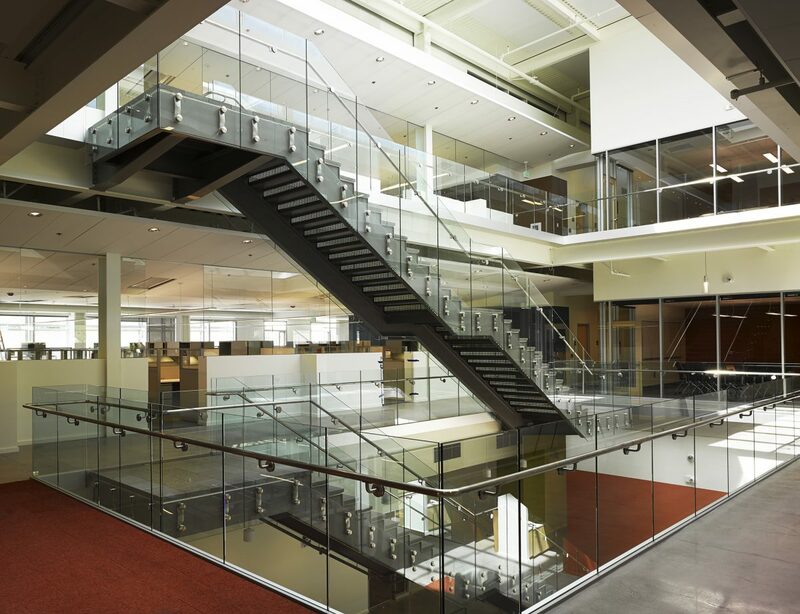 In developing the conceptual design and performance criteria for the new 65,000-square-foot building, RMW sought to create a work environment that promotes interaction and collaboration at every level. 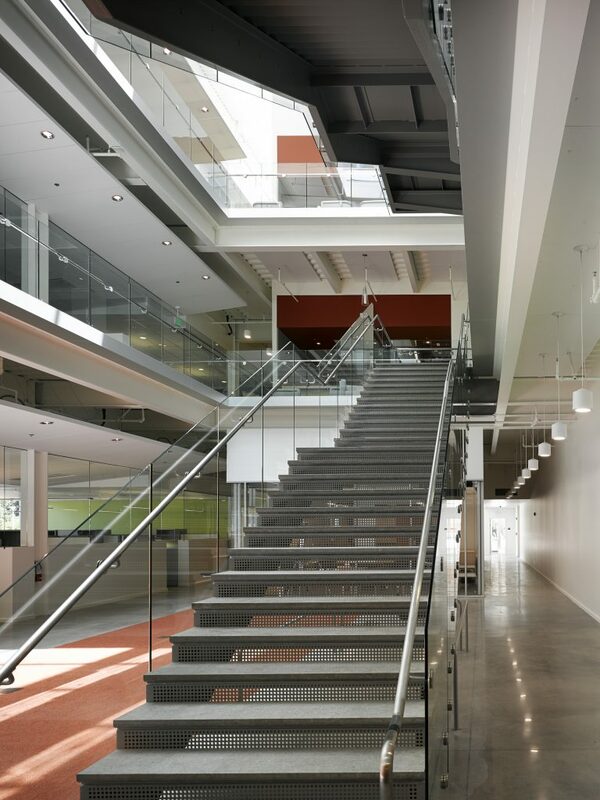 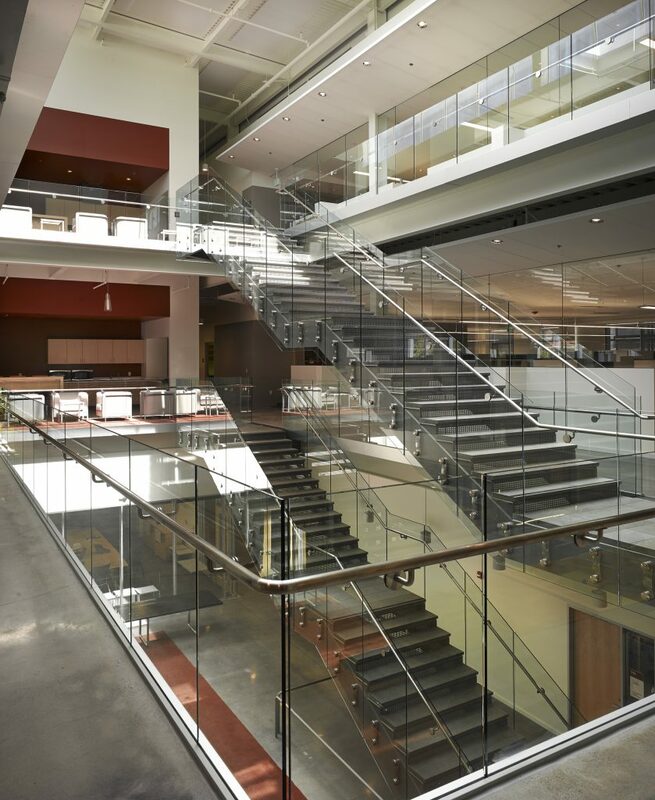 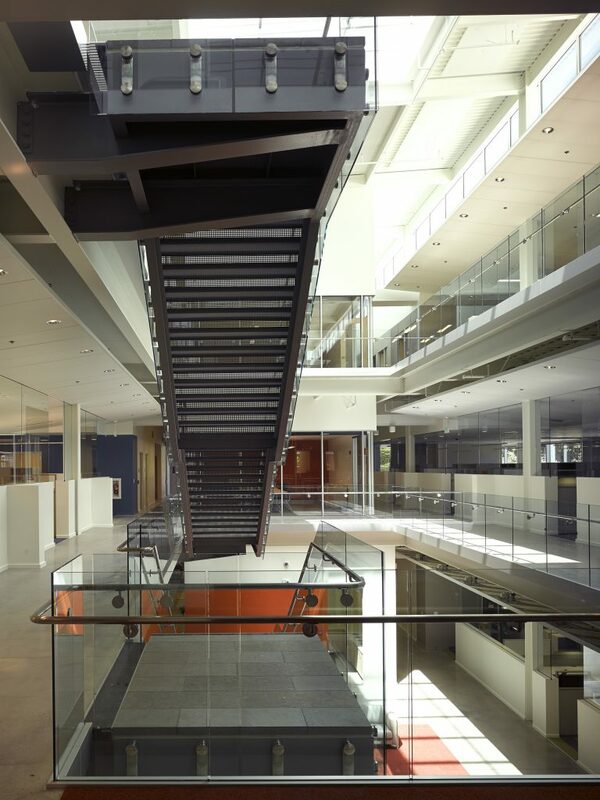 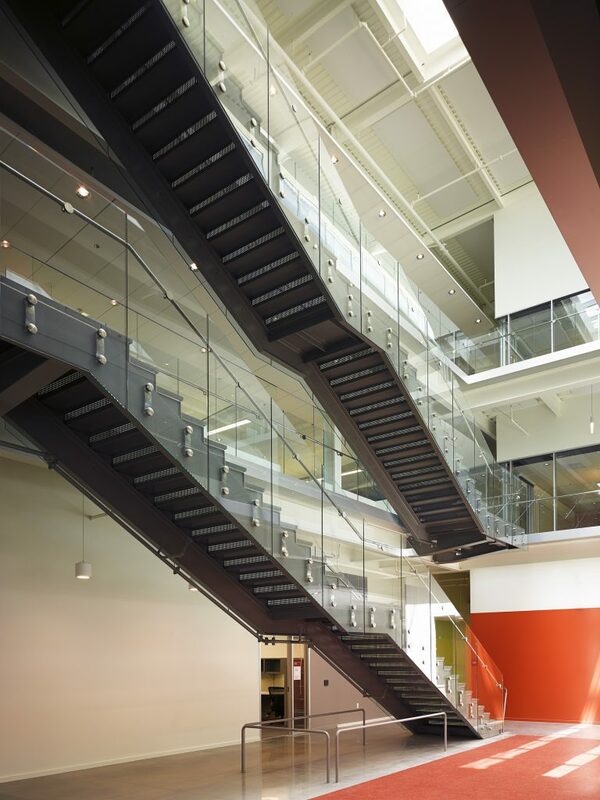 A soaring three-story atrium staircase is central to the design, drawing natural light into the building’s core while also providing opportunities for spontaneous interdepartmental interactions. 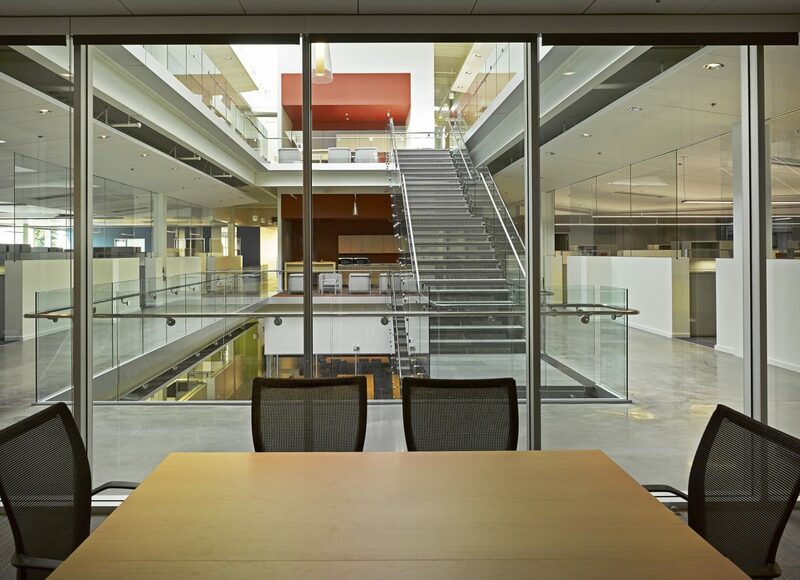 Each landing is surrounded by glass-walled conference rooms, break rooms, and open workstations. 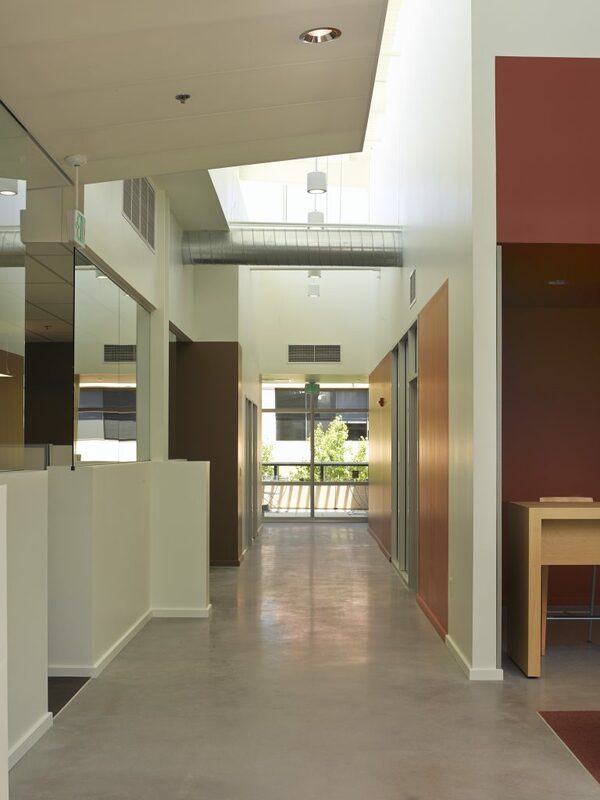 This conjunction of circulation and gathering space enlivens the entire space. 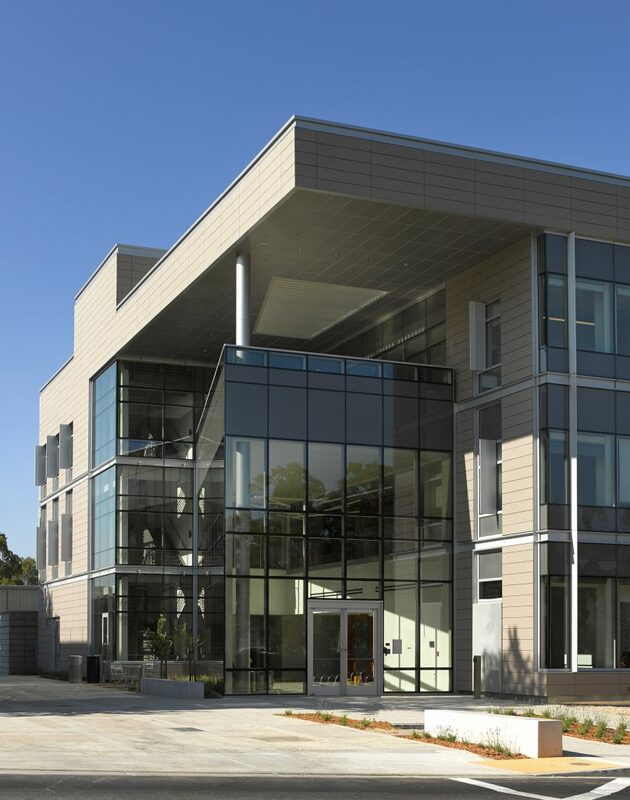 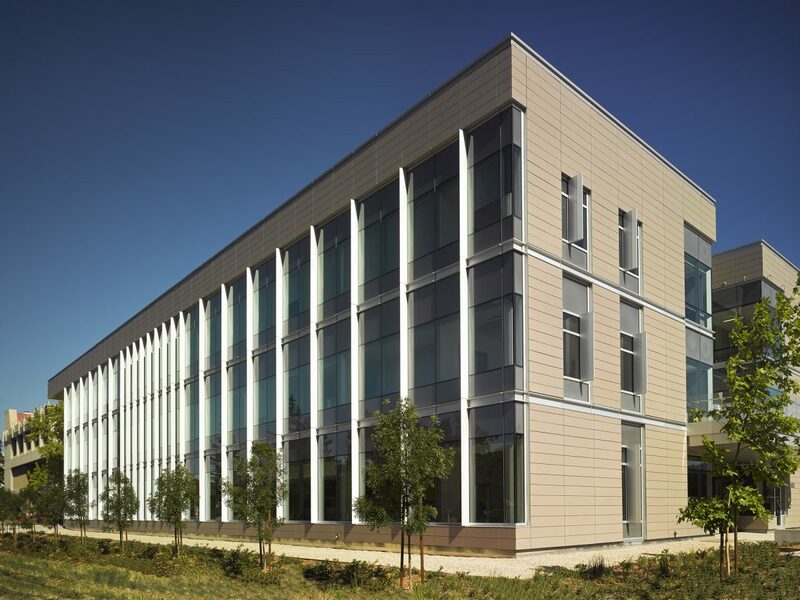 Designed to LEED Gold specifications, the Research Support Building’s high performance design will serve SLAC National Accelerator Laboratory for generations to come.